My friends are on a turmeric kick, the main delicious spice in yellow curry, said to have many health benefits, especially as an anti-inflammatory. 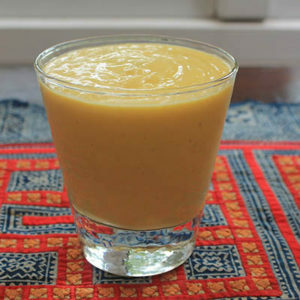 Buy turmeric fresh and organic at a health food store, then toss it into your morning smoothie with yogurt, and even add a little to your scrambled eggs or morning tea. I hope my athletes with arthritis are listening.